We're here to answer your questions about this popular type of hypnotherapy. 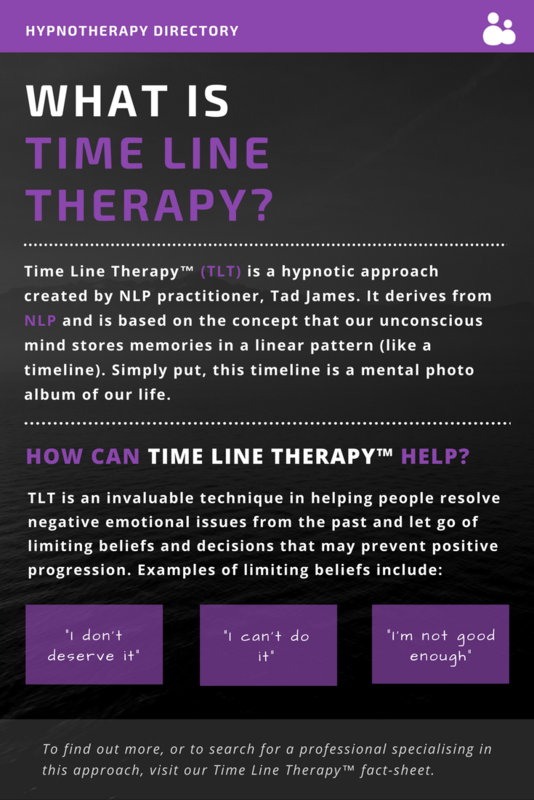 Time Line Therapy™ (TLT) is a hypnotic approach, which was created by NLP practitioner, Tad James, in the 1980s. Derived from NLP, it is based on the concept that our unconscious mind stores memories in a linear pattern – just like a timeline. Simply put, this timeline is a mental photo album of our life, which we can revisit through TLT. 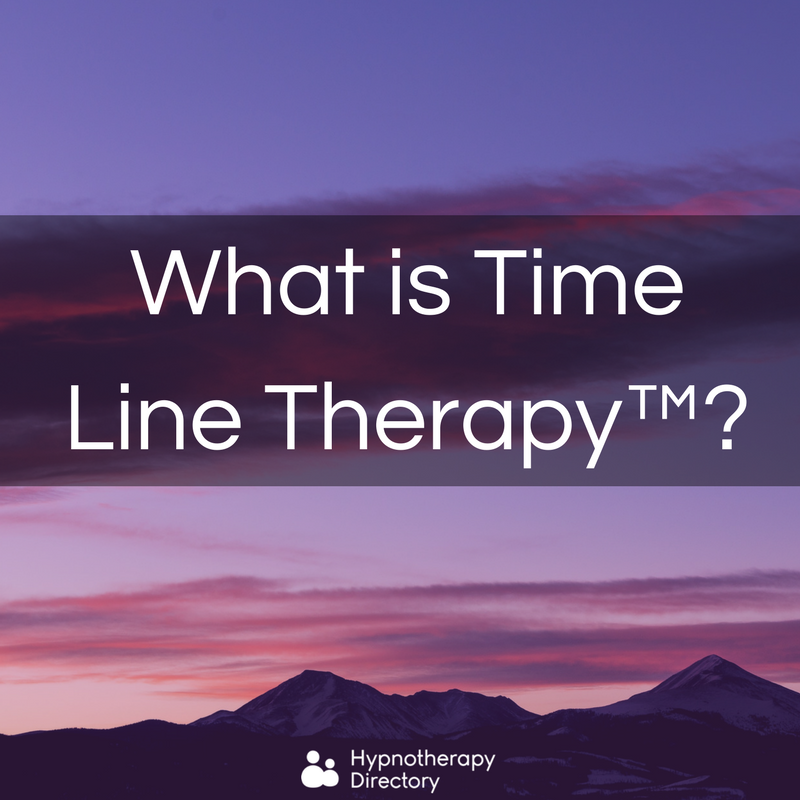 Time Line Therapy™ utilises a person’s own internal ‘Time Line’ to work with their unconscious minds in a variety of ways. Practitioners will help you to focus on what can be learnt from past events in your ‘Time Line’, particularly helping you to remove any painful emotions attached to a particular memory or event. You will learn powerful processes and techniques for personal change and growth, learning how to utilise these as a resource for a positive future. It’s said that TLT techniques and processes support long-lasting transformation quicker than other therapies, with minimal discomfort to the client. As mentioned above, TLT can help to deal with negative emotions associated with certain memories or experiences. One issue that can be successfully dealt with using Time Line Therapy is anxiety. TLT for anxiety asks the client to imagine being above their timeline. While floating above, they are asked to go to the point where the anxiety has reduced and the event that has been causing the anxiety is now over. By viewing the end point, rather than focusing on the event itself, the feelings of anxiety can reduce. Unwanted negative emotions and feelings, and limiting beliefs can have a huge effect on our lives. But, Time Line Therapy™ can help you work past any limiting beliefs that are keeping you in the past and preventing you from living your best life. If you’ve ever had any kind of counselling or therapy in the past, you may have had to relive negative emotions, in order to come to terms with them. But this can often be a painful experience. 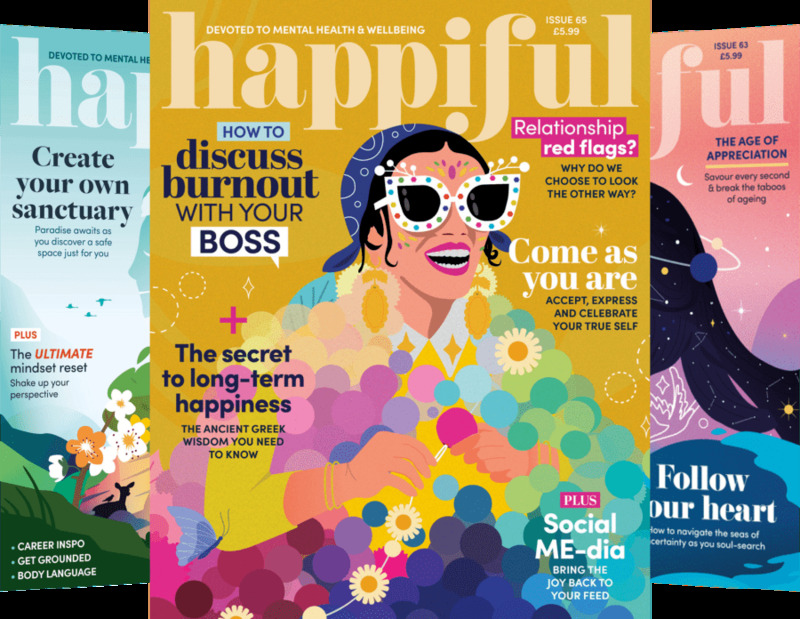 In contrast, Time Line Therapy allows you to deal with negative events and emotions without having to experience the trauma of reliving them again. For this reason, many people find this type of therapy more enjoyable. 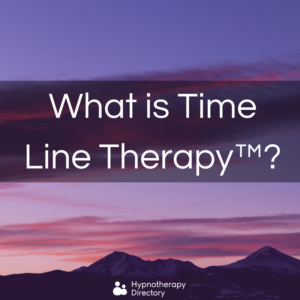 Time Line Therapy is one type of hypnotherapy, but there are many other techniques used by hypnotherapy professionals - some of which may be more suitable for you than others. To explore these, take a look at our types of hypnotherapy section.